illustra GenomiPhi product range uses Phi29 DNA polymerase to generate large amounts of DNA from small starting amounts of eukaryotic genomic DNA by isothermal multiple strand displacement amplification (MDA). MDA generates long fragments of high-quality DNA for applications such as next-generation sequencing (NGS), real-time PCR, SNP genotyping arrays, array comparative genomic hybridization (aCGH), DNA archiving, forensic analysis, hybridization, and cloning. In the illustra GenomiPhi family are kits to meet the demands of your applications, from starting with extremely small amounts of DNA, down to a single cell, to applications where high yields are required. illustra Single Cell GenomiPhi is designed for the lysis and amplification of the whole genome of a single cell. illustra GenomiPhi kits offer the choice of standard or high (HY) output yield and the option to use either a standard liquid format or GE Healthcare’s proprietary Ready-To-Go (RTG) bead format. Liquid formats can be stored at -20°C or -80°C, while RTG formats are shipped and stored at room temperature. 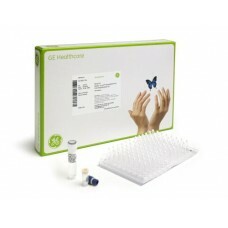 illustra GenomiPhi HY DNA Amplification KitIllustra GenomiPhi HY DNA Amplification Kit offers highly..
illustra GenomiPhi V2 DNA Amplification KitIllustra GenomiPhi V2 DNA Amplification Kit offers highly..
illustra Ready-To-Go GenomiPhi HY DNA Amplification Kit offers highly efficient and representative w..
illustra Ready-To-Go GenomiPhi V3 DNA Amplification Kit offers highly efficient and representative w..
illustra Single Cell GenomiPhi DNA Amplification KitSingle Cell GenomiPhi DNA Amplification kit comb..